Please join us next week for Resurrection Celebration! We want to invite you to come celebrate the greatest event in history! Jesus rising from the dead, and making it possible for you and me to have the real hope of eternal life! We will be celebrating this year at our EAST Campus & WEST Campus during regular service times, with music by our Reach Worship band and a special message by Pastor Robert. We will have a special Children's Resurrection Celebration, geared for nursery age though 5th grade. Please continue to pray with us and invite those who do not know Jesus. Invitations can be found in the foyer. Jordan Feliz will be in concert at our EAST Campus on Friday, May 31st at 7pm. Tickets can be purchased online at ticketfly.com. We are excited to announce that our “VERTICAL MARRIAGE MINISTRY” will be launching their next 8 week series called. ”GROW” Growing Relationships One Way. Whether you’re newly married, or have been married a long time, whether you have a solid marriage, or a struggling one - There’s always room to GROW. Ignition Tucson is the young adult ministry (18-28 years old) of Calvary Tucson. Our mission is to reach out with God’s love and teach with God’s Word so that people may find true abundant life in Christ! It is not our approach that matters but our calling to be authentic, our convictions for the truth and our willingness not to dodge the controversial or make the message more palatable. It is our heart to study the Bible and let the Word of God speak for itself. Our leader is Jesus and it is with His truth that we will impact the world around us! We meet every Thursday night in Calvary Tucson’s EAST Campus Coffee Shop at 7pm for fellowship, worship and a study in God’s word. For more information, contact nick@calvarytucson.com. Men of Calvary, come out and join your brother's in Christ as we start the new year in fellowship and Bible study. Our Thursday morning group meets at EAST campus at 9am. Our Thursday evening groups meet at EAST and WEST Campus from 6:30-8pm. For more information, please contact Robert 288-3099 (WEST) or Jason 965-4234 (EAST). Growth Spurts Children’s Ministry is accepting applications for new volunteers. Please email fred@calvarytucson.com for more information. Calvary Christian School is enrolling grades Kindergarten through 12th grade for the 2019-2020 school year. Transportation is available from the WEST Campus for students. Please visit cccswarriors.com or call 731-2100 for more information. Calvary Chapel Christian School is looking for qualified, motivated upper elementary, middle and high school teachers, who will encourage and inspire students to love God, love learning, and give excellence in all that they do. To apply, please call 731-2100, or visit cccswarriors.org. Jose and Elizabeth Sanchez will dedicate Matthew during our 11:30 service. 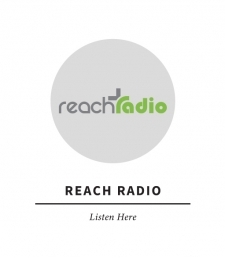 Reach Radio- Can You Hear Us Now?! Reach Radio 106.7FM and 690AM broadcasts some of the finest Bible teachers, as well as a wide variety of worship/praise music. We've recently re-adjusted our Tucson Mountain transmitter, and it's resulted in a vastly improved signal. If you were unable to tune us in before, specifically on the FM dial, give us another try! We are looking forward to what God will do as His Word goes forth across Tucson.